The Opposition on St Kitts is again coming in for widespread condemnation as yet another scheme to derail development projects on the island has been revealed. Just weeks after it was revealed that Opposition Leader Douglas wrote to Canadian developers of the islands 2nd Cruise Pier in an effort to encourage them not to pursue the development and construction of the pier there is word that a fake news story regarding the developers of the new Six Senses Resort at LaVallee may have been generated in St.Kitts by elements and associates of the Opposition SKN Labour Party. The fake news story suggested that Developers Range Development CEO Mohammad Asaria was arrested and sitting in a Chinese Jail. The story was carried on a number of media sites including SKN Pulse Media a known St.Kitts Opposition affiliated media outlet. 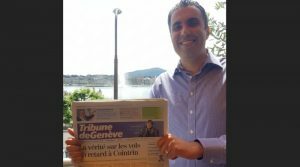 RANGE Developments has totally debunked the story and have further indicated that Asaria is in fact in Geneva, Switzerland where he is promoting his latest development the Six Senses-St.Kitts. The Range Development release describes the fake news story as an effort to discredit him and his Range Developments and by extension developments such as the Six Senses-St.Kitts. The continuing efforts to stall and derail projects within the country by the opposition has become a growing concern for the Team Unity government and the entire nation. 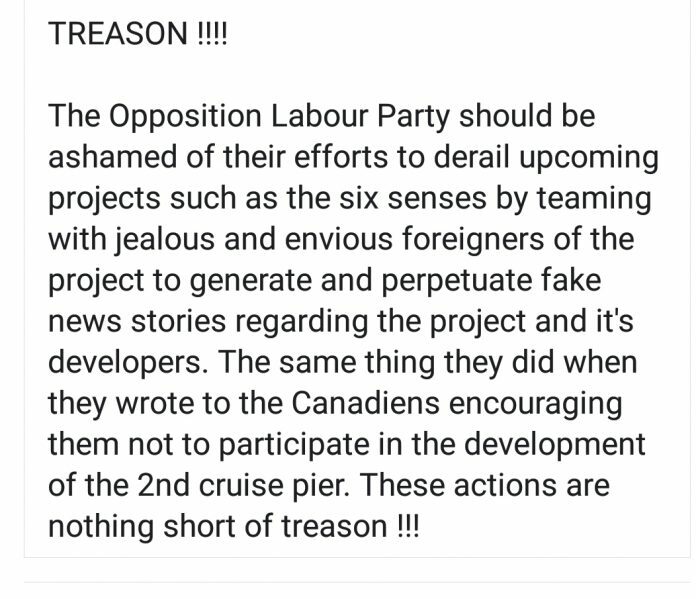 These Opposition generated efforts are nothing short of treason. 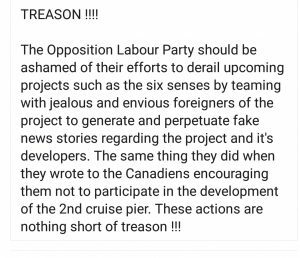 This sentiment is being expressed by citizens of SKN.